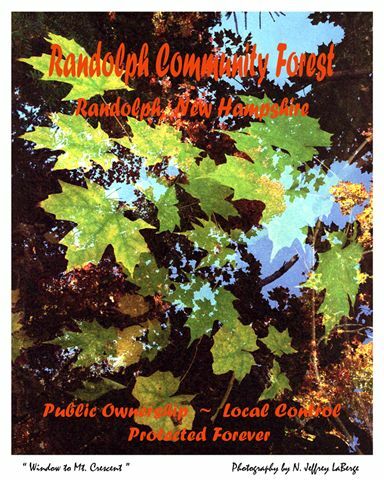 A Randolph Community Forest poster is now available! The poster was the work of a local Berlin photographer. It is a colorful representation of the Randolph Community Forest. 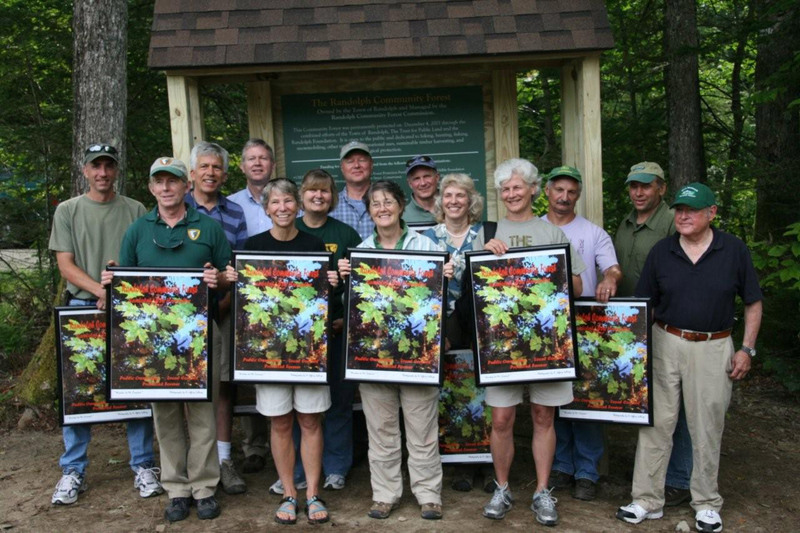 The aphorism, “Public Ownership; Local Control; Protected Forever” which appears on the poster, was an adaptation of something said by former NH State Forester, Phil Bryce, who once noted that the community forest model might represent a third formula for protecting land– the first being large federal or state forests, which did a good job of protection but lost the element of local control. The second means is via large, and usually commercial, private woodlands under conservation easement. This means of protection might include a measure of local control, but one where the owners often pushed the boundaries of the protections in the easements due to the need to turn profits. Copies of the poster are for sale at the Randolph Town Hall for $15.